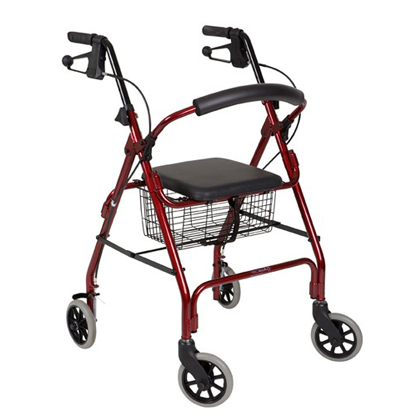 Seat Walkers that feature push down brakes. Lean on handles to stop. 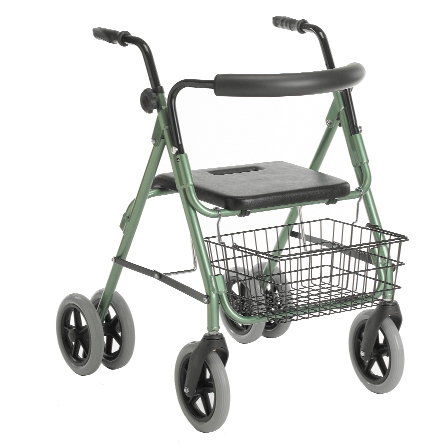 An aluminium four wheeled walking aid with a padded leg support on an adjustable platform. 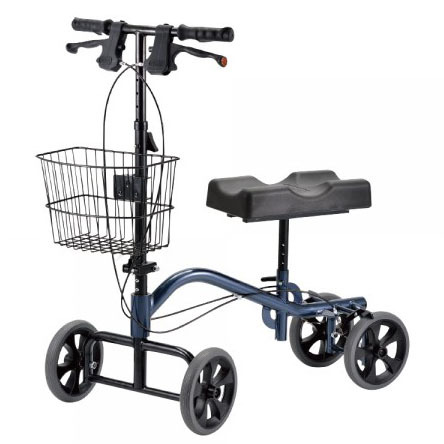 The walking aid has dual locking breaks and a height adjustable handlebar.